The store is the first in Malaysia to showcase the brand’s new visual concept for its retail stores. 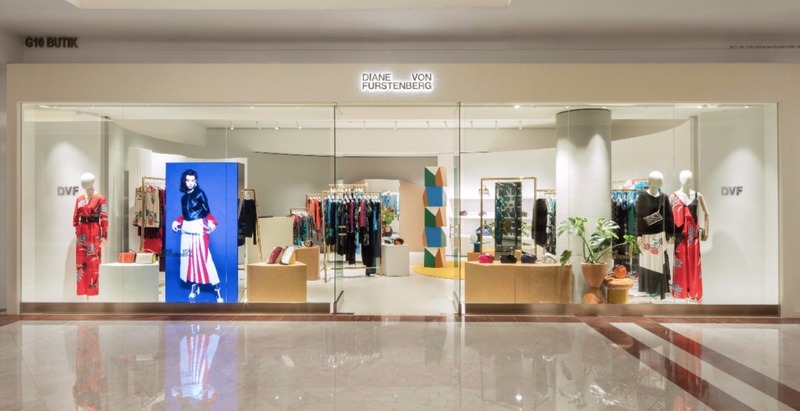 Opening a new 1065-ft 2 store, Diane von Furstenberg brings a fresh aesthetic that aligns its visual merchandising and new store experience with the brand’s refined visual identity and logo. 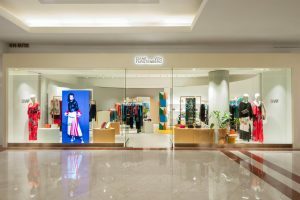 Located at Lot G10 of Suria Kuala Lumpur City Centre, the store is the first in Malaysia to showcase the brand’s new visual concept for its retail stores. While the exterior signage is in the brand’s new warm, gold Futura typeface set on an off-white spray plaster stucco, customers are invited to enter through seamless glass doors ornamented with DVF monogram-shaped handles to explore its extensive range of garments. Drawing inspiration from American sculptor Richard Serra and Roman sculptor Constantin Brâncusi, the store environment embraces natural colours and materials. 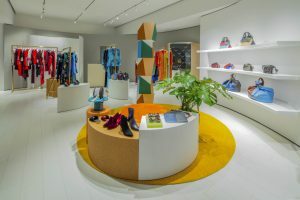 In addition to polished brass rails, cork plinths, and white and grey plaster walls, the store is decked with a natural oak floor and textured wool carpet, establishing a neutral environment that accentuates the vibrant, colourful prints of the brand’s ready-to- wear collections. Inspired by Matisse’s modern, airy and clean sun-drenched home, the store also features an array of plants, vases, and sculptures. 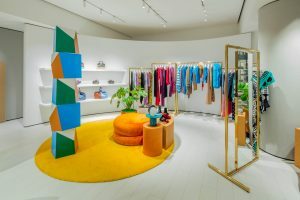 The new store concept debuted with Bergdorf Goodman’s pop-up in December 2016, followed by refurbishments to the London flagship at 25 Bruton Street and at New York City’s primary locations, and a recent opening in Hong Kong Pacific Place and a shop in Rome’s La Rinascente.